Christmas is a season of giving and I'm giving away a Christmas present in this post, so keep reading! 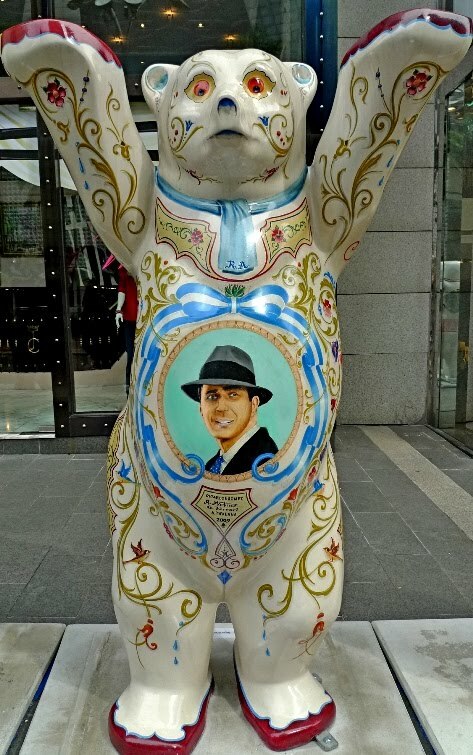 After learning about the arrival of the United Buddy Bears at Pavilion KL early this month, I was looking forward to meet my fellow bears! You know I am a Panda bear by now, right? Haha! 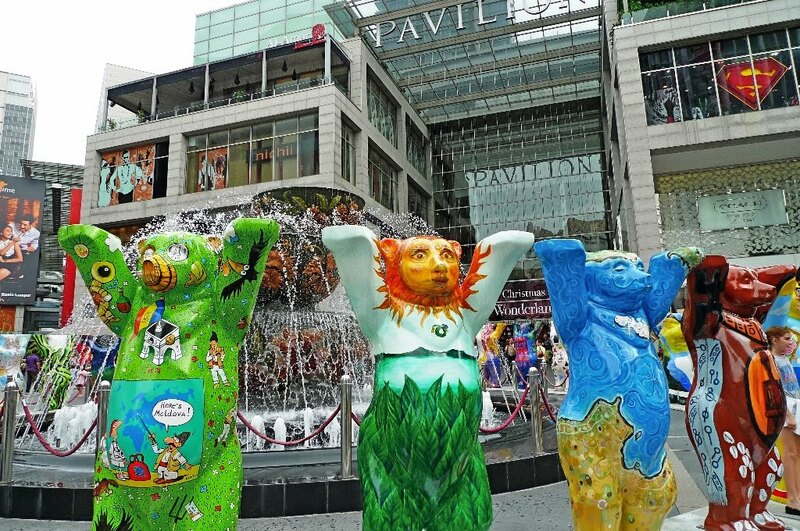 The United Buddy Bears are a series of painted, life-size fibreglass bear sculptures originally developed in Berlin, Germany. They were created to promote a message of peace, international understanding and tolerance among nations, cultures and religions of this world. How cool is that? 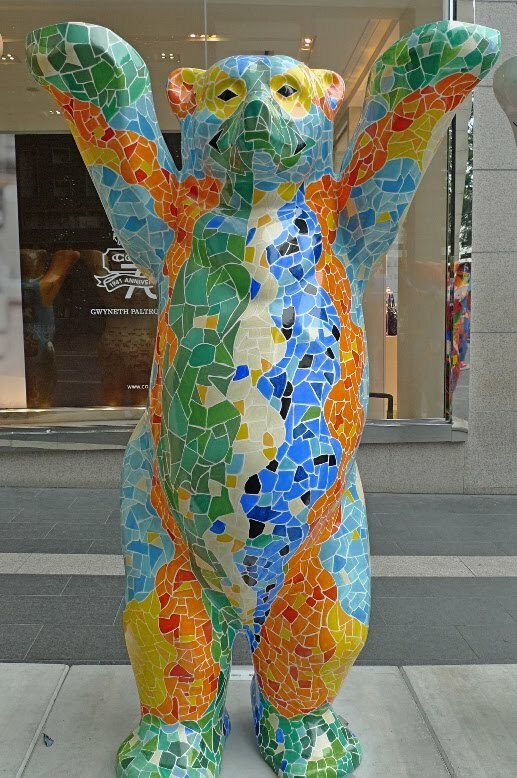 Each bear represents one nation, and there are 143 of them! 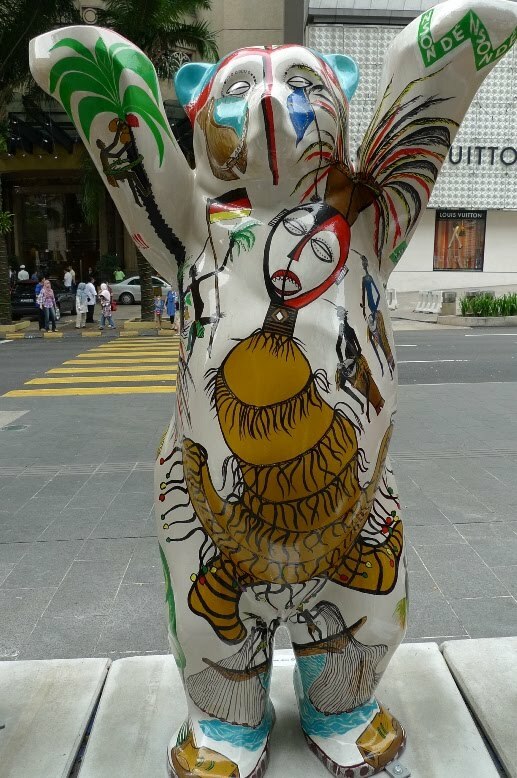 They stand hand in hand symbolising the future vision of a peaceful world. 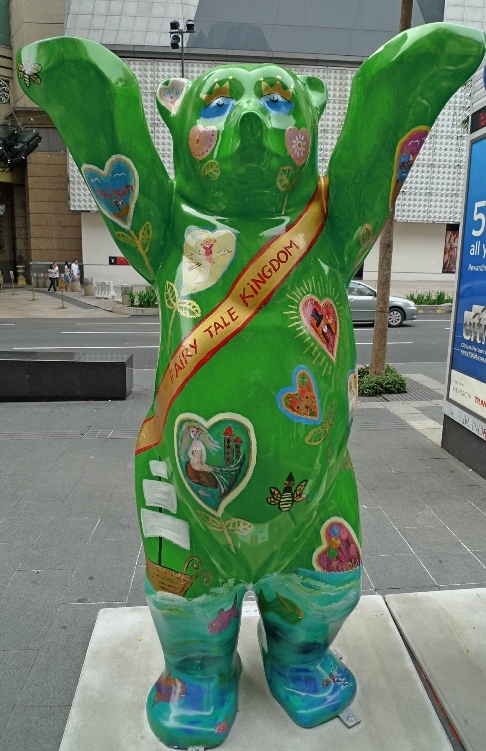 If you are hardworking enough, you may want to go to Pavilion KL and snap the pictures of each and every bear! Wait....I actually did that. Well, almost. Haha! 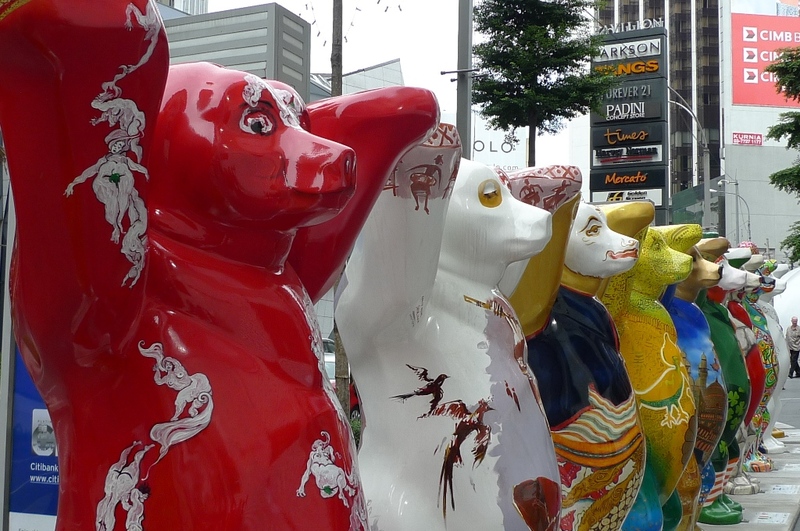 Anyway, more about the United Buddy Bears in my next post - for now, let's figure out which country each of these 6 bears represent. The first person who gives an all-correct answer shall win my special Xmas gift, which is my very own compilation Xmas songs CD featuring singers Mariah Carey, Michael Buble, Celine Dion, Christina Aguilera, 98 degrees and many more! 1. This contest is open to readers from any parts of the world. 2. Leave your answers in the comments below. Answers via emails and other means are not acceptable. 3. 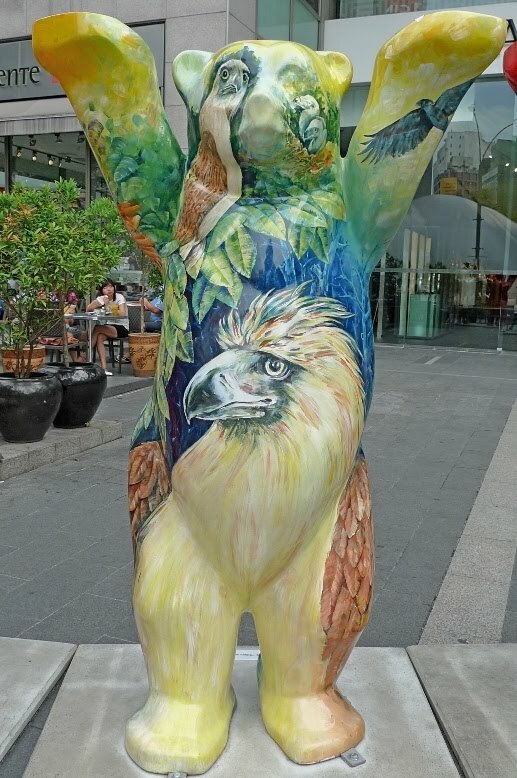 Example of answer : Bear#1 - Australia, Bear#2 - Thailand, Bear #3 - China etc. 4. The first person to answer all correctly wins the prize. If no one gets all-correct answers, the first person who gets the most correct answers shall win. OK, so are you ready? Welcome the 6 United Buddy Bears!! To make it easier for you, I have narrowed down 18 countries for you to choose from. 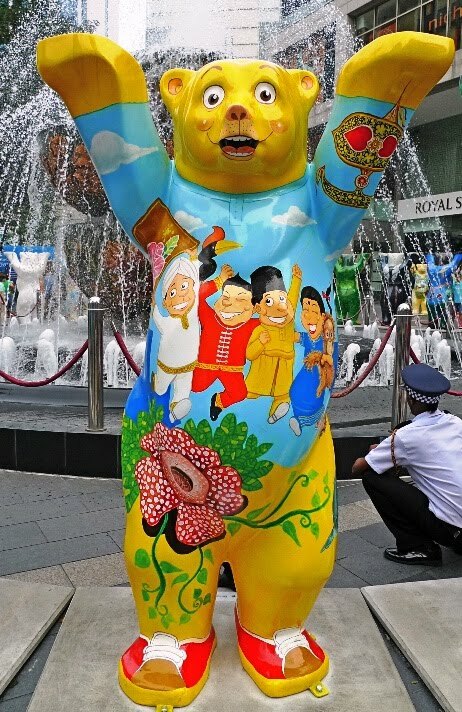 Each of the 6 bears is in this list of 18 countries. Good Luck!! Countries : USA, Denmark, Japan, Brazil, Argentina, South Africa, Chile, Singapore, Thailand, Malaysia, Cambodia, Philippines, Spain, Congo Republic, Germany, Barbados, Korea Republic, Finland.